1. MacBook Air – I love this little computer. Great for travel, and super fast. 2. 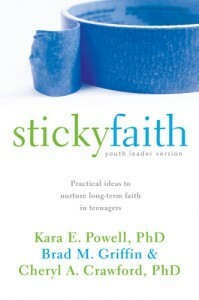 Sticky Faith – These books have really made me think a lot about youth ministry and being a parent. I highly recommend them. Plus check out StickyFaith.org for more insights in their articles and blog. 3. Steve Jobs by Walter Isaacson – I found this book to be a difficult read. He could be so harsh with people. It really made me think about leadership, success, and family from someone who did great things, but failed at so much too. 4. iPad 2 – This continues to be a device that changes the way I interact with content. I love it. 5. Kindle Fire – You probably didn’t expect to see this after I listed the iPad, but it’s a different device for me. It’s a great reader that also does some tablet functions. Plus, I love that there’s someone pushing the iPad to be better. 6. YSnetwork – This one is personal, but we launched it this fall at YS (where I work). It’s a great way to connect with other youth workers, join a network or build your own. 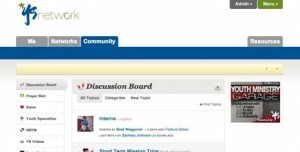 It’s free to join, and if you sign up join the Youth Ministry Geek network to stay connected. 7. 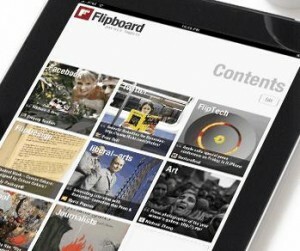 Flipboard – This is probably the app I use the most, and with the addition of the iPhone version a month ago, I just use it even more. It’s by far my favorite news reader. 8. GoPro – I got one of these cameras to take on our vacation to Hawaii this year, and it’s so much fun. We use it under water, on water slides, in the pool, the beach, on the trampoline. It’s a great camera to take when you don’t want to risk you full size, expensive one. Sure it has it’s limitations, but you get an amazing picture that can go anywhere. It’s my Flip Camera replacement. 9.Timbuk2 Control Laptop Case – After about 7 years, my old shoulder bag finally wore out. This was my replacement. Things I love about it: separate sleeves for laptop and ipad, TSA compliant so I don’t have to take my laptop out, not too big, but big enough. 10. 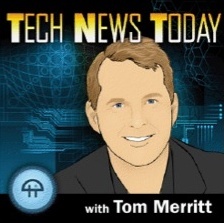 Tech News Today – I love podcasts and increasingly over the last year, this has been my #1 to go to. It’s about 45 minutes every week day covering the lastest in the world of technology. Entertaining and informative, perfect for this geek. What were you’re favorites from the last year? I haven’t had any problems with TSA making me take it out, at least the 5 flights I’ve taken. No problems in San Diego, Dallas, Atlanta, or Minneapolis. It completely zips open and lays flat to go through the scanner just like they like it.